Being comfortable in any room in your home can have a lot to do with the decor you complement it with. Stylish home accents speak to your tastes and lifestyle, and make excellent aesthetic and emotional impressions on family members as well as guests, especially when you integrate personal heirlooms and treasured collectibles. As a frequently used room, the living room can tie an entire home together, or stand out among other decorating styles while offering comfort and functionality to your family throughout the year. Three classic looks stick out in our minds the most, for their timeless qualities and welcoming atmospheres, as well as the ease with which you can alternate between them with just a swap of curtains and a rug or an accent pillow. 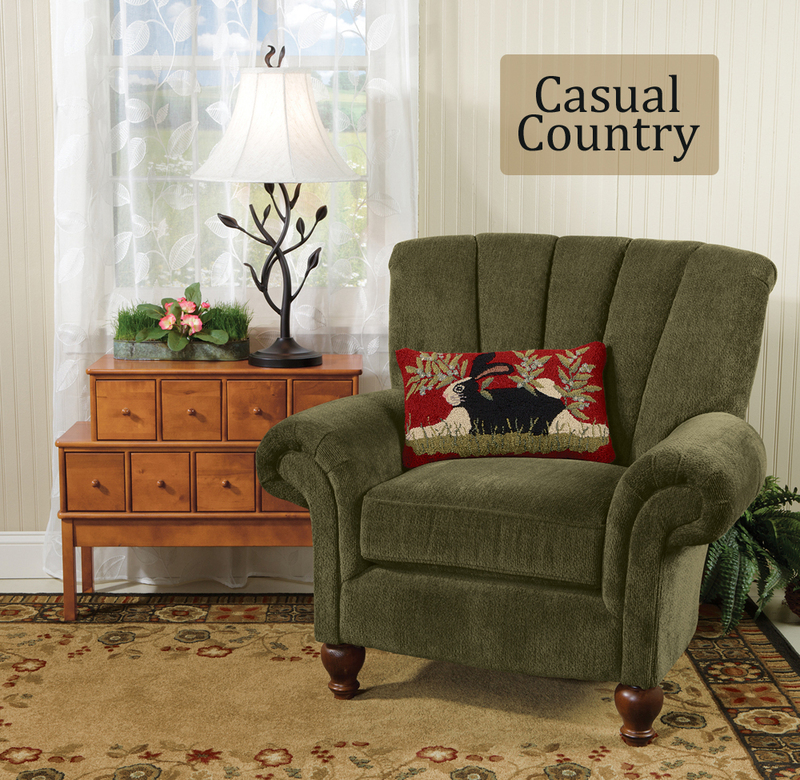 Solid colored furniture, nature-inspired hues and durable materials; simple decor that emanates outdoor charm and a cozy, decorative area rug on the floor completes the casual country look. 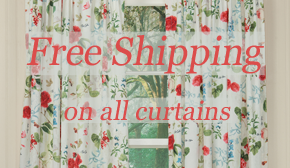 An airy, lightweight curtain offers stunning window appeal and an opportunity to take in the outside view. 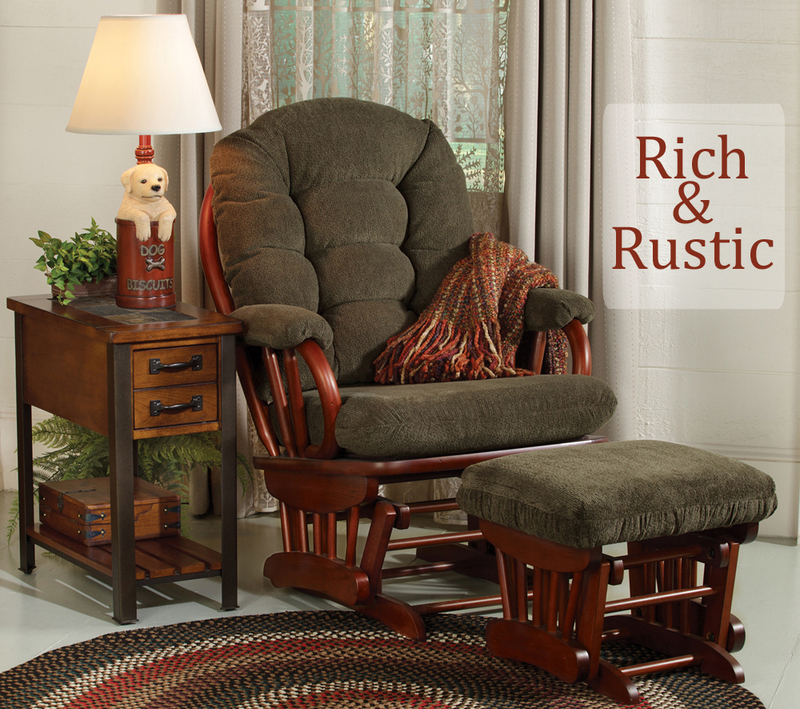 Similar to casual country, a rich and rustic living room highlights more rich, darker tones of wood and furniture. Greens, dark browns rusty reds and muted naturals fill the room with log cabin charm, and are complemented by slightly whimsical decor that is primitive in design. Braided rugs are the ideal choice for the floor of this living room, as layered curtains with intricate, forested detailing are for the windows. A room that speaks for itself. Pinks and rosy hues give a living room sweetness, while curved iron accents and printed furniture add touches of elegance. 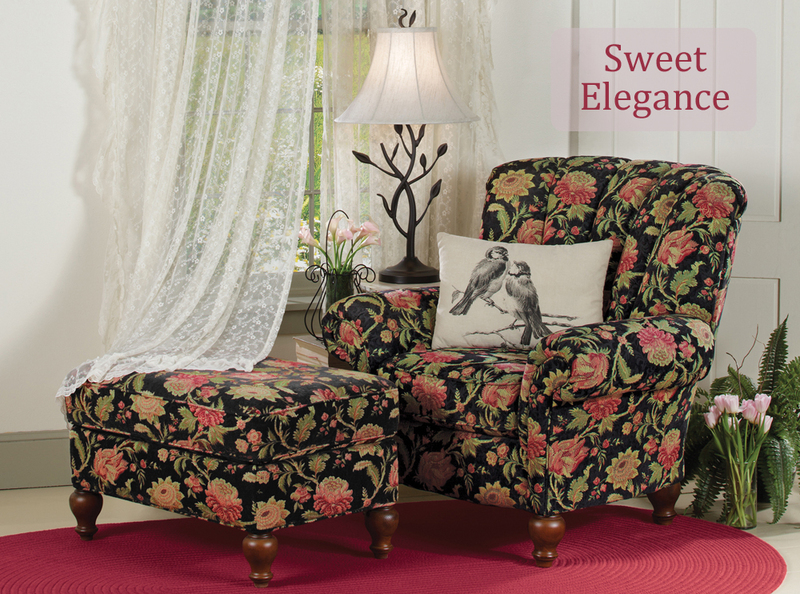 Sweeping curtains with embroidered details give a worldly look, transforming your home into a regal destination. Black and white against the bright colors tone down the statement to keep it in line with your lifestyle while enhancing the classic look. We are nearing the final hours of our lighting sale and our fall catalog – that’s right, the holidays are almost upon us here at Sturbridge Yankee Workshop! For this week’s Spotlight we’re showcasing some of our favorite and most interesting lighting options that have only appeared on our website. From the ceiling to the wall to the table, your lighting needs can be met by our print and online catalogs. Let us know below what you prefer for lighting, and if you’ve participated in our fall sale. Technically this is three items, but since it’s a set we will consider it one for our Spotlight. 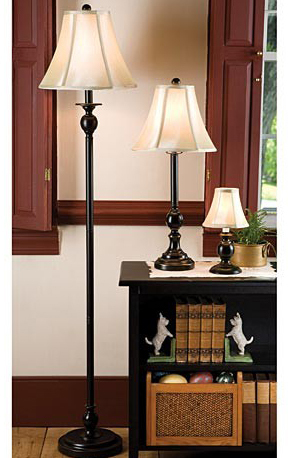 That’s right, our Harmony Lamps come in a set of three: an accent lamp, table lamp and floor lamp. 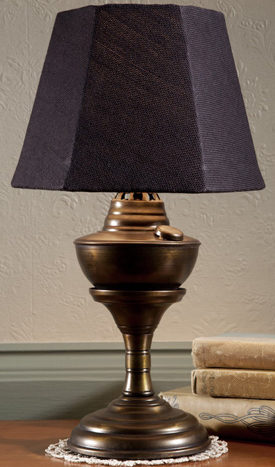 The black metal bases feature a primitive burnt gold hue, and are accented by elegant silk shades. 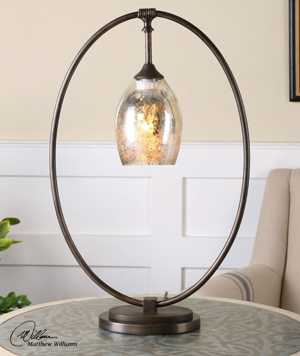 Use in a family room, an office, or spread them throughout your home to incorporate regal and complementary lamps into your treasured home décor. Pendants create a classic look in a dining room and kitchen, especially when used in multiples. The Roman Bronze Mini Pendant creates a warm and inviting look through the amber coloration on the shade, especially when the light is turned on. The bronze frame adds an antique look that will complement your country kitchen and home. 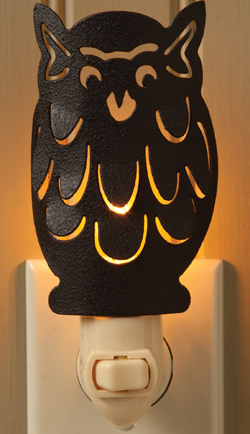 We believe nightlights should be as decorative they are functional, and this charming owl is just that. 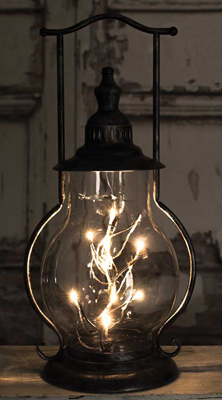 The simple metal form will coordinate with any room, and the light shining from behind makes him look warm and friendly. During the daylight hours, he will sit proudly and add natural flair to an otherwise plain space. The Woodville Floor Lamp is a little more whimsical than a standard floor lamp, but every home should include a little whimsy! The carved pinecone accent draws the eye upwards and to the rattan caged shade; a perfect complement to the brown column. The base features a regal look that draws this lamp away from being too informal, and it sturdily holds the entire piece in place. 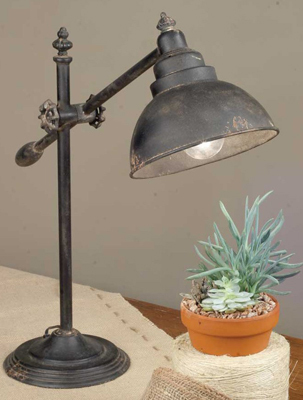 Recommended for a cabin or rustic home, this lamp will add country charm to any décor (and there’s a coordinating table lamp to complete the look). 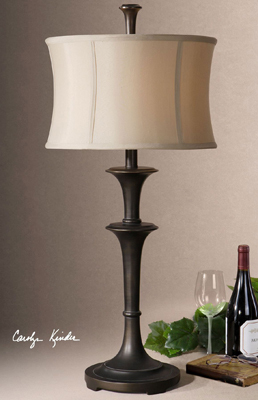 Last but certainly not least, our Portland Lamp is a charming addition to any table. The antique oil lamp look gives any space a warm and inviting feeling, and although the black fabric shade appears quite dark, the amount of light that shines through will be perfect for reading or doing work at a desk. Use one as a conversation piece, or place multiple in a bedroom as bedside lamps or in a family room and coordinate with similar primitive lamps and décor.